Heat oven to 375°F. Spray 8 regular-size muffin cups with cooking spray. Unroll dough; separate into 8 triangles. Press 1 triangle of dough in bottom and up side of each muffin cup. In small bowl, mix sauce, pepperoni, sausage and 3/4 cup of the cheese. 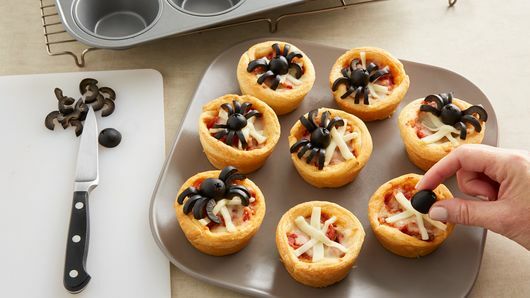 Spoon about 1/4 cup mixture into each dough-lined cup; sprinkle each with about 1 teaspoon remaining cheese. Bake 13 to 15 minutes or until lightly browned. Meanwhile, cut string cheese into 24 (2-inch) matchstick-sized pieces. 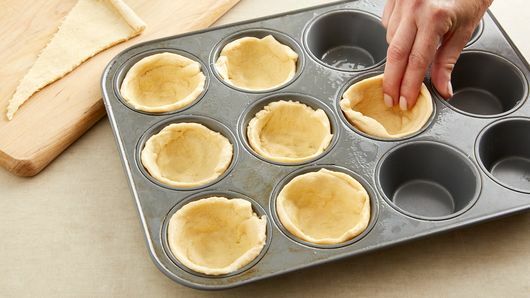 Place 3 pieces on top of each muffin cup to make web shape. 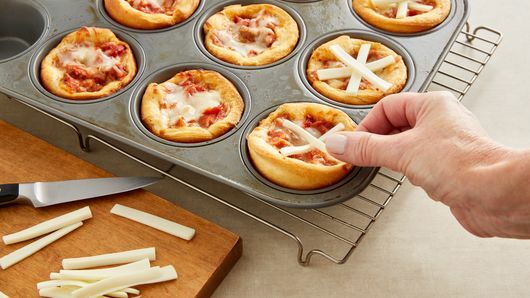 Bake about 2 minutes longer or until cheese is just melted. Immediately transfer cups to serving plate. Cut olives in half widthwise. 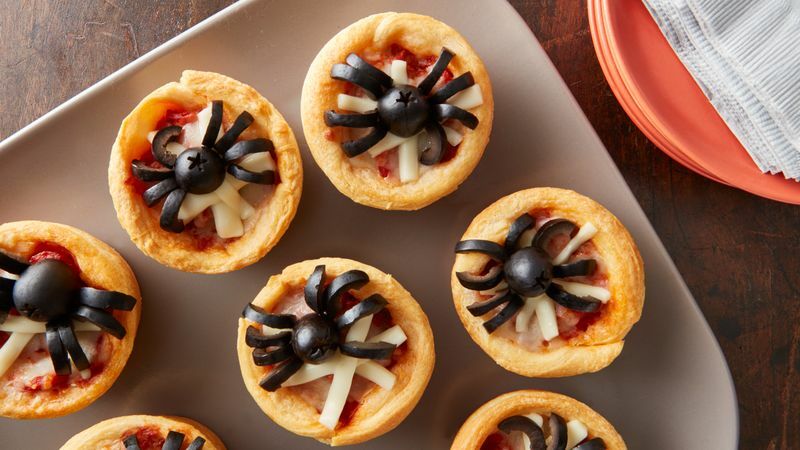 Place one half cut-side down on top of each cup for spider body; cut remaining olive halves into thin slices, and place on top of cups for legs. Serve warm. 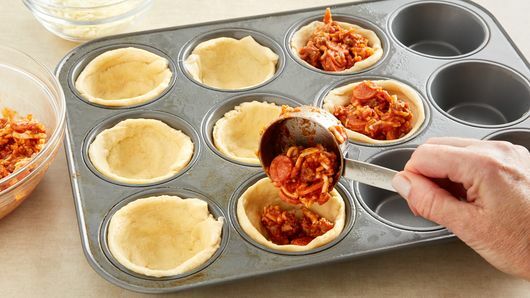 If you can’t find mini pepperoni slices, purchase larger ones, and cut them into fourths to fit in the muffin cups. Don’t like Italian sausage? Swap it for 1/4 cup chopped red onion, sliced olives or more pepperoni.